Data center networking management has never been so challenging -- or crucial. As the volume of applications and services continues to grow -- and computing becomes more distributed -- the role data centers play to ensure all the pieces come together is more important than ever. Indeed, the data center is the lifeblood of the modern enterprise. It shapes how a business serves its customers, how quickly it can respond to customer demands and how resilient it is during times of stress. The data center is no longer an island; it is an integral part of the corporation and, with that, a key contributor to the image the business wants to portray to customers and partners. To that end, enterprises are strategically retooling their data centers to serve both current and future needs. Not surprisingly, software is taking center stage, but data center network managers are also mulling the advantages of using different link-state protocols, in addition to SDN, to ensure traffic continues to flow. Because uptime is critical, fault detection and configuration oversight is vital. But by harnessing analytics and applying technologies that pinpoint performance issues before they occur, data center network managers are finding ways to minimize unplanned downtime. In today's cloud-connected environment, the enterprise data center is frequently just one link in a chain. And keeping that chain connected is paramount. It's not just east-west traffic flowing within a data center that must be monitored and assured; traffic flowing to other data centers must also be accommodated. To ensure uninterrupted flow, enterprises are deploying a variety of services, from dedicated connections to cloud-based exchanges. Take a look at some of the other changes affecting data center network managers and their operations in this handbook. Expect data center networks -- and interconnects between DCs and cloud providers -- to get both denser and faster, while topologies continue to evolve. 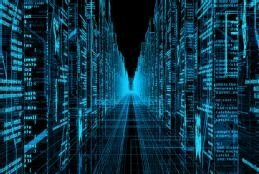 Data center operators are beginning to use modified link-state protocols on their large-scale data center fabrics, according to the IETF. What's behind the switch? Network designs and technologies may change, but identifying -- and remediating -- faults is a fundamental task for today's system managers. Here's what you need to know. What's ahead for data center networks? Bigger demands and a variety of new, complex tech innovations. Learn how to prep for the future and keep network traffic moving.